Bethard esport review - claim your bonus for esport betting at Bethard! Bethard is without doubt one of the cockiest sportsbooks with a raw attitude and a provocative way of doing things. 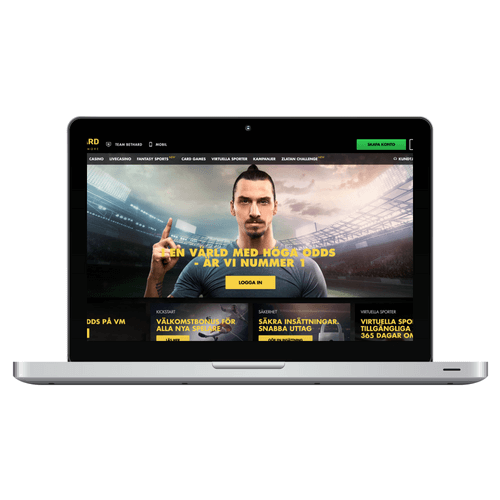 Despite the company’s relatively young age it has established itself as one of the foremost actors within betting and gambling – a lot thanks to its successful marketing campaigns, but also because of the outstanding betting-experience they offer their customers. Bethard offers everything a player might want to bet on and their range of esports betting titles is impressive to say the least. 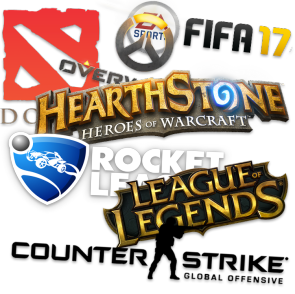 In Bethard’s esport-section you will find all the most popular games and more and there are a lot of different betting-varieties available. Their generous welcome bonus of 100% up to €100 for betting or casino gives you a solid capital to start betting with. Do you want to start betting on esport at Bethard right now? Click here or on the button to the right to claim your welcome bonus and get started immediately. If you want to learn more about esport betting at Bethard and what to expect, keep scrolling as we will cover all the different aspects on this page. Bethard’s selection of esport games that you can bet on covers almost all the popular titles and even some of the smaller ones such as King of Glory and Vainglory. Even if the range is already great, they are continually expanding their offering by providing their users more and more esport games to bet on. There are plenty of betting-varieties for all the games besides the regular 1X2 format. This does not only make it more fun to bet on the different games – it also opens up for combination-betting (combining several bets for better odds) and allows you to really make informed decisions based on what you think will happen. In the list below, you will find all the esport games that Bethard is currently offering betting on in their esport-section. By clicking the links on the games, you can read our betting-guides for each specific game with good things to think about before placing your bets. Bethard is currently offering new players the same bonus for betting and casino but the bonus comes with different wagering requirements. The welcome bonus for your first deposit is 100% up to €100. The following conditions need to be respected and met in order to withdraw the bonus-money. The wagering requirement of the sports bonus is your deposit + bonus x 7. For example, if you have received a total of $40 after your bonus, you need to wager $40 x 7 = $280 in total before you can withdraw your funds. All bets must have a minimum of 2.0 in odds to count towards the wager requirement, this goes for both single- and combination-bets. Funds cannot be withdrawn from your account before an active bonus has been wagered enough times. Eventual risk-free bets come with special conditions. Bethard’s conditions may change between when this text was created and when you read it, even though we continually update the conditions we recommend you to always read through their conditions before registering. The casino bonus offered by Bethard is also 100% matching up to $100 but it comes with different wagering requirements that you can read more about below. No bonus code is needed to activate the bonus, the only thing you need to do is click on through to Bethard’s website to claim yours. If nothing else is stated in the conditions – the bonus plus the deposit has to be wagered a minimum of 40 times before you can withdraw the funds and any potential winnings from your account. You can only wager your bonus in slot machines, video slots, lotteries or the sportsbook. The following games do not count toward your wagering requirement: Cosmic Future, Blood Suckers, Jackpot6000, nor does any progressive jackpots. The biggest wager allowed during your bonus period (which lasts for 7 days unless anything else is stated) is $10 or the equivalent in any other currency, per spin, bet or game. Bethard has divided their games in two groups; Group A and Group B. All bonuses that Bethard offer must be wagered in Group A, any wins in group B do not count toward wagering your bonus (they are however still viable wins but they cannot be withdrawn before the wagering requirements have been fulfilled). In group A – the group where you can wager to complete the welcome bonus, includes; slot machines, video slots, lotteries and sportsbook. In group B – the group which does not count toward wagering your bonus offer, the following are included; Video Poker, 3 Card Poker, table games and other games. Another important note is that bonuses are not granted for those who deposit with Skrill, PaysafeCard or Neteller. We therefore recommend that you use a different payment solution to benefit from Bethard’s first time deposit bonus. We also advice our readers to read through all Bethard’s rules and conditions before you start betting in their sportsbook or play in their online casino. Bethard was founded by professional poker players that, with their vast experience of the gambling business, understood what was required to create a great user experience for their customers. In very short time, Bethard has grown to be one of the largest sportsbook and online casino. The road to success for Bethard, much like Betway, has always been to offer a wide range of games for casino as well as betting and their selection of games is always growing. The two new front-faces for the brand - Zlatan Ibrahimović and Dragomir Mrsic both reflect what it’s like to play at Bethard – Rough, but fun! Live betting on esport means that you bet money on whether or not something will happen during the game – for example that a team will win a specific round or that a team draws first blood in a game. The ability to live bet on esports is essential for the user experience. Luckily, there are plenty of opportunities to do so at Bethard who offer you a lot of different and fun options to bet on. A lot of other sportsbooks have their live betting combined with the “regular” betting which can make it tricky to find what you’re looking for. Bethard however, has chosen to separate the different sections, making it very easy to understand what is only offered in the live betting section and what is offered before the game starts. Whether you want to live bet from your smartphone or at home on your computer makes no difference, it is offered on both places and both provide you with a great user experience. Bethard has a fully responsive site that works just as good and offers all the same options in your smartphone as it does on desktop. With that said, the best option for mobile users is to download their app which works even faster. The app has all the same functions as the website does and is very easy to navigate. You can easily deposit and withdraw funds from your smartphone right into your bank account (or whatever chosen payment solution) and you will not feel limited in any way using the app. To start betting at a sportsbook that does not offer a great mobile experience is not something we at Fragbetting would ever recommend as it has become such a vital part of both our lives and how we like to bet. To bet or play casino games at Bethard is as close to completely safe as possible. Your personal information is not used for anything besides what you agree to when you create an account and Bethard has taken actions to account for GDPR requirements. The company is, just as most other operators, based on Malta and its licenses are regulated by the Malta Gaming Authority (MGA). (c) Class 1 on 4 Remote Casino licence on Microgaming Europe Limited, with licence number MGA/CL1/1148/2015. (f) Class 1 on 4 Remote Casino licence on NYX Interactive MT Limited, with licence number MGA/CL1/1335/2017. Bethard’s slogan is “Winners Dare More” and their marketing is usually cocky – but their support is the complete opposite. If anything goes wrong or if you need help with something, you can count on fast and professional service from Bethard’s support. You can choose between live chatting or email. The live chat is open every day between 8 AM – 1 AM, during night time. The support is not open 24/7, despite what is stated on their website. Support is not available by telephone. Bethard accepts several different payment solutions for depositing and withdrawing funds. All the most common payment methods such as Visa and Mastercard are available but also less common, online based payment solutions such as Neteller, Paypal & Skrill. For those who mainly want to handle their payments through their smartphones, Zimpler, that allows invoicing is allowed. Unfortunately, skin pay which is often used for skin gambling is not available. Something that we mentioned previously which is worth to reiterate is that Skrill, PaysafeCard and Neteller cannot be used if you want to take part of the welcome bonus, all other payment solutions do however grant you the possibility for a bonus. All data/information that is sent between you and Bethard is encrypted and this also applies to your credit card information and its likes. To ensure quick pay-outs you want to make sure that your account is verified at Bethard. The easiest way to do this is to log in to your Bethard account, click on “Account” and then “Verify” You can also visit the support section and reach the “Verification” page from there. Bethard gives their users a great esport betting experience with their wide range of esport games available in their sportsbook. In the moment of writing this text, they offer 14 esport games that you can bet on which is less than the completely esport niched sportsbooks such as GGbet, Arcanebet or Lootbet – but a lot more than most other casinos/sportsbooks. Considering the development of Bethard’s esport section the last months, there is no doubt that they will be one of the biggest sportsbooks within the esports niche in the future. With the financial backing of a big casino and a famous brand, they are sure to continue developing both their range of esport games and their platform to continue providing their users with an experience that won’t make them want to bet anywhere else. Bethard’s esport section is given a rating of 4/5, the flaws are mainly that the support is not reachable by telephone and that they miss a couple of games that are offered elsewhere, such as Smite. The welcome bonus is also very hard to OMSÄTTA.